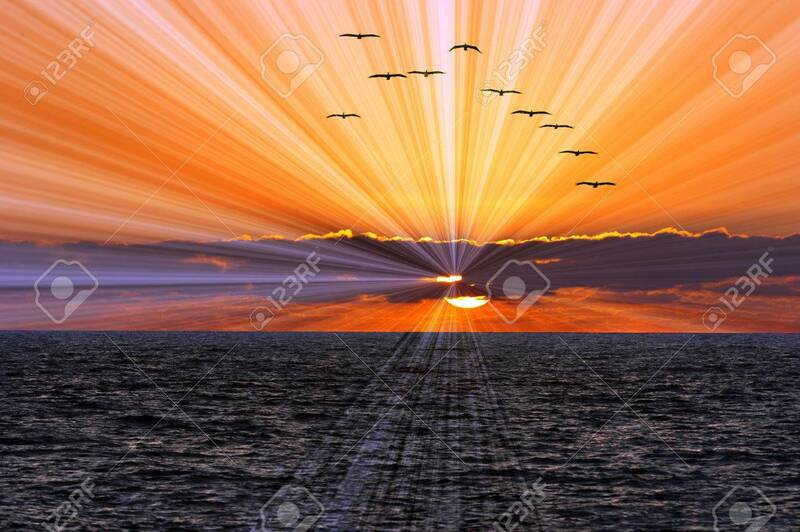 Ocean Sunset Sun Rays Is A Flock Of Birds Flying Overhead While.. Stock Photo, Picture And Royalty Free Image. Image 43694507. Stock Photo - Ocean sunset sun rays is a flock of birds flying overhead while a brilliant bust of sun ray beams shoot of from behind the clouds clouds and the sun sets on the calm blue ocean waves. Ocean sunset sun rays is a flock of birds flying overhead while a brilliant bust of sun ray beams shoot of from behind the clouds clouds and the sun sets on the calm blue ocean waves.